" Stop drinking garri " –Governor Okorocha Gives warning to Imo residents as Lassa Fever Death Toll Rises. ” Stop drinking garri ” –Governor Okorocha Gives warning to Imo residents as Lassa Fever Death Toll Rises. Rochas Okorocha, the Imo State governor, has warned residents to stop drinking ‘raw garri’ as three persons were confirmed dead in the state as a result of Lassa fever, Premium Times reports. The killer disease is rapidly spreading across many parts of the country. Seven cases of Lassa fever patients were also confirmed in the state. 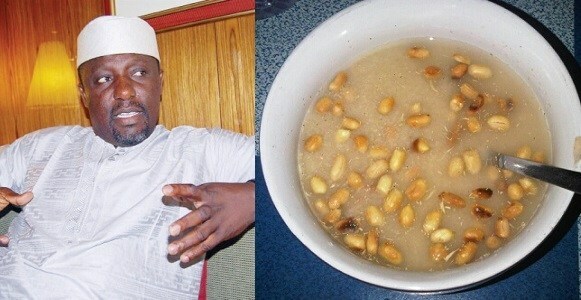 Mr. Okorocha, who gave the confirmation in a statement sent to Premium Times through his Chief Press Secretary, Sam Onwuemeodo, advised indigenes of the state to stop drinking raw garri (cassava flakes) as well as avoid crowded areas. “This is not the period for people to drink raw garri because you know garri is not cooked and people just pour water on garri and drink when a rat has urinated on the garri. So people are advised as much as possible to ensure that their food is properly cooked,” the governor said. The first Lassa fever case this year was confirmed in Ebonyi state more than a week ago. Four people including three health workers died from the infection in the state. The disease has further spread to Kogi, Ondo and some other parts of the country leaving death tolls. According to Mr. Okorocha, the speed at which the disease is spreading is worrisome. “These cases were recorded in some hospitals, somewhere in Orlu and some other parts of the state. For this reason, we kindly advise that people should avoid overcrowded areas, lessen the shaking of hands, and body contacts at this period,” the governor said. “The state is on it. The Ministry of Health has been adequately informed to take all necessary steps to curtail the spread. “We will do everything humanly possible to make sure that this spread is curtailed. While the government is taking this action, people should keep a clean and healthy environment at this time, avoid so many children staying in one place while government should handle the burial of those that died of Lassa fever. As you know, Lassa fever is deadly but if any discovery is made, lives can be saved,” he added. Mr. Okorocha said all the confirmed cases have been put in isolation. Lassa fever is a viral infection carried by the multimammate rat (Mastomys natalensis), one of the most common mice in equatorial Africa found across much of sub-Saharan Africa. The disease is commonly caused by contact with food or household items contaminated with rodent urine or feces.